What a difference a season makes. Just twelve months ago the Los Angeles Lakers were seen by many as potential NBA title favorites. In a classic Lakers move the franchise added superstar center Dwight Howard to a lineup that already included three veteran superstars, Pau Gasol, Kobe Bryant and Steve Nash. The Lakers were so confident that former swingman Metta World Peace predicted 73 wins. The rest of the NBA was shaking their heads at another classic Lakers instant rebuild. Flash forward a year later and the team is in potential disarray with an unknown future. Dwight Howard is a member of the Houston Rockets. Kobe Bryant is recovering from a potential career ending injury. Steve Nash is going on forty and coming off an injury filled season. Metta World Peace is now a member of the New York Knicks. So what’s in store for the Los Angeles Lakers this season? What will the team look like a year from now? Here are five stories to follow as the Lakers kick off the 2013-2014 season next Tuesday night versus the Clippers. 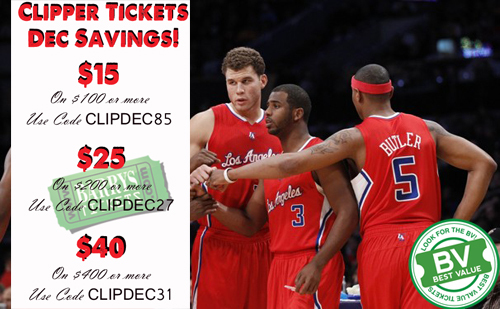 You can get special Discount Codes for Battle For LA Lakers Vs Clippers Tickets now. Kobe Bryant’s Health: In a season full of injuries and inconsistency Kobe Bryant put together a tremendous, MVP-like regular season. Although his game was diminished on the defensive end, Bryant was as effective as ever offensively. Typically when a player goes out with an Achilles injury it’s safe to write them off for nearly a year—not Kobe Bryant of course. The Lakers expect their star back much sooner than expected, perhaps even this calendar year. How quickly and effectively Bryant returns is the most significant factor for the Lakers this season. A healthy and effective Bryant can lead them to the playoffs. If he’s not the same player the Lakers have to think about the future. What to do with Pau Gasol: Dwight Howard has come and gone while Pau Gasol remains. The veteran Spaniard remains one of the best big men in basketball. Without Howard clogging up the middle Gasol will be the number one option in the post. He’s an effective scorer, passer and all around efficient offensive force. If the team stays healthy and Kobe Bryant returns ahead of schedule they may have the veteran core to challenge for the playoffs. If last season’s frustrations are repeated the Lakers have a trade-able asset in Gasol. Gasol is in a contract year and resigning him will eliminate some of the cap space they have for next year’s free agent push. Trading him will also put the club under the luxury threshold, a tempting proposition, especially if the Lakers are under .500. Improved Bench? The Lakers had very little depth last season. An aging team that only went eight deep was an issue. With limited cap space Mitch Kupchak did his best to rebuild the bench. Chris Kaman will provide capable size, defense and hustle in the post. Nick Young and Wesley Johnson are athletic wings who can hit the three point shot. It’s not a lot to work with but there is more quickness and youth than last season. Many are predicting a breakout year from Young as a wing off the bench. If the veteran starters stay healthy it’s a perfectly respectable bench. If the Lakers suffer injuries to the top rotation and the bench is thrust into regular duty like last season the Lakers will struggle. Mike D’Antoni: The decision to go with D’Antoni to replace Mike Brown wasn’t a popular one. The perception was that D’Antoni’s system wasn’t conducive to the Lakers roster and the fact he isn’t a defensive minded coach were valid points. Howard clearly didn’t work out in the D’Antoni system, and he’s moved on as a result. The Lakers lack of youth will remain and issue, especially on the defensive end of the court. A second year in the D’Antoni system, combined with an offseason to mold the team in his favor, should benefit the club. Still if the Lakers get off to a weak start and struggle D’Antoni may not be long for the sidelines. Next Year’s Draft: Next June’s draft is considered one of the deepest drafts in years with several prospective “can’t miss” prospects. Players such as Andrew Wiggins, Aaron Gordon, Julius Randle, Marcus Smart, Jabari Parker and Andrew Harrison are seen as potential NBA All-Stars. If Kobe Bryant doesn’t return as soon or as effective as the Lakers would like the franchise may make the logical decision to trade Pau Gasol and build for the future. With only Robert Sacre and Nick Young on the books after next season the Lakers could very well re-sign Bryant, earn a high lottery pick, and then have the choice to sign two potential max-players—such as Lebron James. Prediction: Too much of the Lakers success is based on the giant question mark surrounding the return of Kobe Bryant. He Lakers star has continually proved people wrong over the years and has an incredible work ethic. Expect Bryant to return earlier than expected and to put together a solid season. The Lakers will be better than many predict and will fight for one of the final playoff spots in the west. 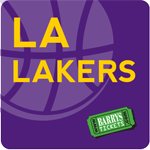 Lakers Tickets are available for all home Staples Center at up to 50% off.